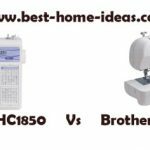 A honest list of 10 best Janome sewing machines for beginners. Recommendations are based on quality and performance. Price is also taken as a factor for some. 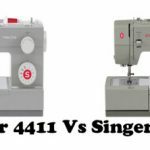 Janome machines generally are a bit more expensive than Singer or Brother. There is a reason behind this, the build quality. Janome machines are far more superior in build quality than its counterparts. Another thing I noticed all through my sewing career is that Janome machines tend to get less negative responses from its users. 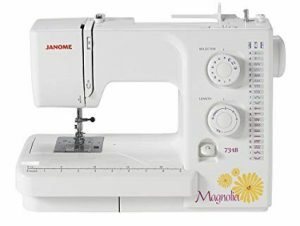 Most of the Janome sewing machines for beginners are good performers, yes there are couple of crap machines as well, but its volume is limited when compared to its competitors. The best thing I love about Janome beginner machines is that they are all pretty good at sewing denim and heavy duty fabrics. That’s what I love about Janome. If you are a beginner looking for a good Janome machine, there are enough models to confuse you. So to help you out, I have ranked them in the order of quality and performance. The list is deliberately kept under $500 as beginners generally don’t need machines above $500. This doesn’t mean that all the machines in this list cost around $500, you still can find couple of quality machines in and around $100 in this list (just that quality is given the top priority). 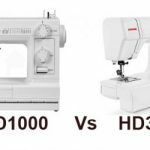 According to me, these are the best 10 Janome sewing machines that can handle rough use of a beginner and perform admirably well at the same time. 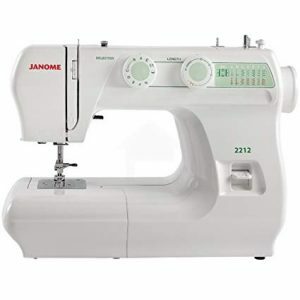 If you ask me which is the best heavy duty sewing machine in US, I would answer Janome HD3000 all day. Stitch quality wise, this is arguably the best mechanical sewing machine in the market. The most admirable thing about HD3000 is the ease with which it goes through multiple layers of denim and hard leather. This is one machine that I trust whenever I think of sewing denim. The build quality is excellent. The machine is one of the heaviest ones in the market, which is a clear indication that less plastic is used in its construction. All metal construction (still there are some unavoidable plastic parts, especially in the exterior) adds more durability to the machine. HD3000 comes with 18 built-in stitches, 1-step buttonhole, automatic needle threader etc. Cons : The work lights are pretty dim, so you will have to rely on exterior lighting. 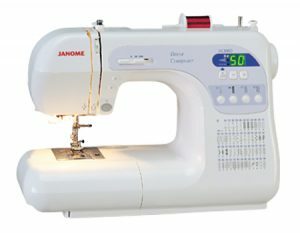 8077 is the best computerized sewing machine from Janome for beginners. It has all the advanced features and controls. Good thing is that the machine is very affordable. You can 8077 for the price of a mechanical sewing machine. 8077 has 30 built-in stitches including 6 one-step buttonholes, programmable needle up/down, sewing start/stop button, speed control slider and locking stitch button. It has an extremely quiet motor. The stitch quality is very consistent across all types of fabrics. Denim is a walk in the park for this machine. Little adjustment is required while sewing different kinds of fabric. It has an excellent feed system as well. The machine is pretty lightweight, so you can easily carry it. Cons : Not a lot is there. One issue is that it has a poor user manual. You may need to spend some extra time with it. 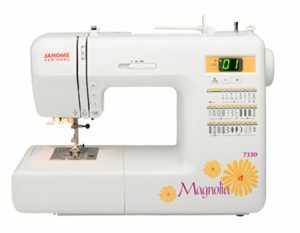 Magnolia 7318 is a mid range (in terms of price), mechanical sewing machine. An absolutely strong footed sewing machine, even at high speeds. Straight stitches can’t get better. It is a no fuss kind of machine. It can go through multiple layers of denim with ease. It comes with 18 built-in stitches and a 4-step buttonhole. Cons : The machine is slightly on the noisy side. 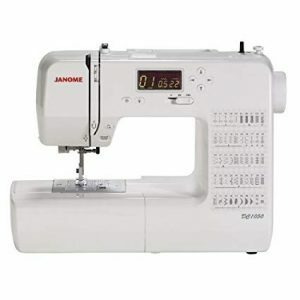 For the price, Janome could have equipped with a 1- step buttonhole which is much easier to use for beginners. 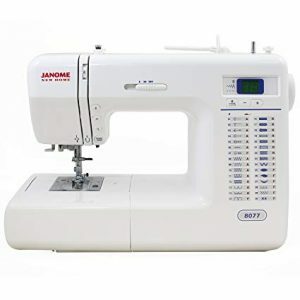 This machine is exactly the same as Janome 8077, which ranks second in this list. Even interesting thing is that 7330 costs a lot more than 8077 for just a few floral decorations on the body of the machine. As a person who understands the value of hard earned money, I would recommend 8077 over this one. Save that money for some accessories. Then you may ask why I included this machine in this list. 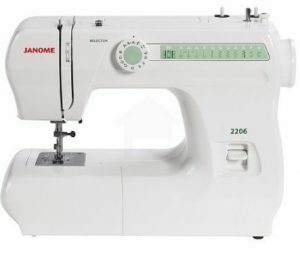 I included 7330 in the list because it still is a quality computerized sewing machine, only that Janome got the pricing wrong. 2212 will work for you, if you are looking for a sewing machine with basic features. All the features are not very beginner friendly but it does one thing very well. It sews beautifully. 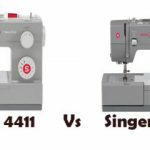 The stitch quality is the only thing that brought this machine into the list of 10 Best Janome Sewing Machines For Beginners. The machine is easy to thread and it operates smoothly. The machine is quiet as well. It has a very powerful motor compared to its competitors. The powerful motor lets it go through fabrics quite easily. 2212 has 12 built-in stitches and a 4-step buttonhole. Cons : Janome 2212 misses out on several beginner friendly features like automatic needle threader, 1-step buttonhole etc. And it is priced high for the features on offer. DC2015 is a full premium computerized sewing machine. It is Janome’s latest release in 2015. Every year Janome releases a DC machine with year as model number. The general trend from 2010 onwards has been that there was not a lot of feature changes, only cosmetic changes in color were there. This time in 2015 Janome has changed the trend. Janome has built DC2015 from ground up. The design has changed and the features as well. So you can’t say that DC2015 is a mere cosmetic change from DC2014. DC2015 is currently the most expensive machine in this list and it is loaded with features. 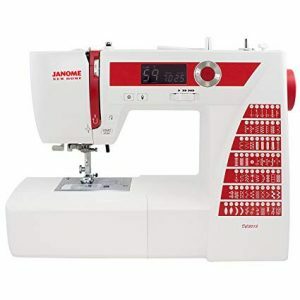 It comes with 60 built-in stitches including 6 one-step buttonholes, programmable needle up/down, locking stitch button, sewing start/stop and speed control slider, automatic needle threader, drop-in bobbin etc. The machine puts out enough power to sew multiple layers of heavy duty fabrics. The machine is very beginner friendly and the stitch quality is very consistent. DC2015 looks a class apart from all other Janome machines, mainly because of its excellent build quality (It has a real premium feel to it). Cons : Being a relatively new machine, it is very hard to tell about the durability factor (and that is the only reason why it didn’t get a better rank). But so far it looks pretty promising. If it was not for DC2015, it would have been DC3050 all day. This is a high quality computerized sewing machine. I always admired its ability to sew different kinds of fabric equally well. It is kind of an all-rounder. It has one of the best automatic tension settings around. The machine adjusts itself to different fabrics quite well (it is excellent to be honest). It is a flawless sewing machine. 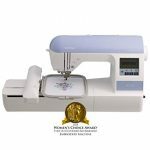 DC3050 comes with 50 built-in stitches and 3 one-step buttonholes, programmable needle up/down, locking stitch button, sewing start/stop and speed control slider, automatic needle threader, drop-in bobbin etc. Cons : Before buying DC3050, you must compare it with the price of DC2015 because DC2015 is the updated version of DC3050. 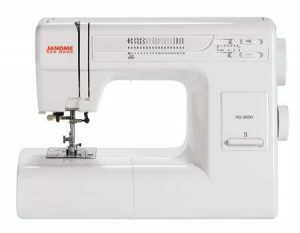 Janome actually stopped the production of DC3050 in 2014. So if the price difference is not huge, you will be better of going with the updated version, which is the DC2015. I don’t think Janome has another full size sewing machine priced less than 2206. This is the low end version of the 2212 which we have already discussed. It comes with 6 built-in stitches including a 4-step buttonhole. It has a powerful motor capable of delivering 860 stitches/min. Even though it is limited in features, it makes up for it in stitch quality. It is an easy to use, basic mechanical sewing machine. Cons : Feature wise, you can find a lot of things missing on 2206. There is no automatic needle threader, drop-in bobbin and one-step buttonhole. DC1050 is an old boy in the block. It is a computerized sewing machine with 50 built-in stitches and 3 one-step buttonholes. It has programmable needle up/down, sewing start/stop, speed control slider, locking stitch button etc. It has an absolutely wonderful feed system, you don’t need to touch the fabric, it will sew perfectly straight stitches without hand guiding. The best thing about DC1050 is its price. For the price, a sewing machine like this is an absolute steal. Cons : Zig zag stitches have a tendency to bunch up at times. Our last machine in this list is not a full size sewing machine. It is a 3/4 one. 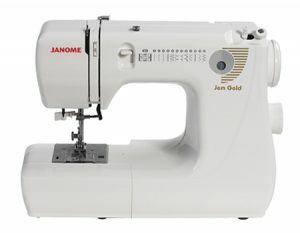 Jem Gold 660 will suit those who attend sewing classes, as it is lightweight and compact in size. The machine has 12 built-in stitches including a 4-step buttonhole. Drop-in bobbin and automatic needle threader adds to the ease of use. Cons : It is over priced I guess. Even though it is a quality machine, the price is insane. The price has to come down at least by $50 for me to consider it as a good deal.